WEST CHESTER — EnviroSure, Inc. was founded in 2006 to help corporations and municipalities assess and address environmental concerns. Over the past 10 years, EnviroSure has developed into a reliable and trusted partner in delivering timely assessments and solutions. This successful business model has resulted in the company’s steady growth, achieving its 10th anniversary in 2016. Scott Smith, EnviroSure President and CEO, founded the company in 2006 to fulfill a life-long goal of owning and operating a business. With more than 10 years of professional engineering, project management, and sales experience, he felt that an environmental consulting company would best suit his talents and experience. Smith held an initial meeting with a SCORE mentor. Chester and Delaware County SCORE, a U.S. Small Business Administration (SBA) affiliate, is a nonprofit organization of more than 40 highly skilled volunteer mentors dedicated to helping small businesses succeed in our region. Smith worked with SCORE mentors to develop the strategies required to launch EnviroSure into a highly competitive environmental consulting landscape. By 2007, Smith was working from home, without a paycheck and with start-up costs being financed through a personal loan. However, by the end of the year, the loan was paid in full and EnviroSure was recognized by the Mid-Atlantic Real Estate Journal as one of the fastest growing firms. The following year, Smith started taking a paycheck and began to hire his first employees. He hired a part-time office manager, an accountant, a part-time geologist, and a project manager. However, the business showed signs of slowing down near the end of 2008, signaling a need to diversify the company’s product offerings and customer base. In 2009, Smith met with John Hammond, a SCORE mentor, to develop a formal business plan. Charles Espenlaub and Pete Shaw, SCORE mentors, were added to the team to form an Advisory Board. This Board operated like a Board of Directors for EnviroSure, meeting regularly to ensure that the business plan was properly developed and executed according to an agreed timeline. With the implementation of the business plan, EnviroSure exceeded its sales goal for the year. EnviroSure was awarded its first federal contract, a General Services Administration (GSA) Schedules contract. In addition, EnviroSure achieved certification as a HUBZone Small Business Concern and moved its office into a designated HUBZone area in 2010. One year later, annual sales doubled and EnviroSure was awarded the SCORE Small Business Achievement Award. 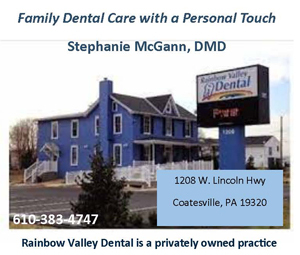 In 2012, Smith decided to expand services, adding more flexibility and capacity, by developing long-term relationships with two independent consultants. These consultants provided subject matter expertise in the fields of environmental regulations and geology. After many years of pursuing the federal contracting market, EnviroSure began focusing on the commercial sector in 2013. This triggered a significant revision to the business plan, financial objective, and business growth. With an SBA loan, EnviroSure purchased a new building in West Chester to support the growth in business and personnel. In 2015, EnviroSure was awarded a significant environmental project for the Coatesville Gateway Redevelopment Site, and the company opened a second office in Hamilton, NJ. In 2016, EnviroSure opened its third office in Philadelphia, PA to support increasing demand in the area. The company now has four full-time employees with plans to hire a fifth full-time employee in January and six part-time employees. 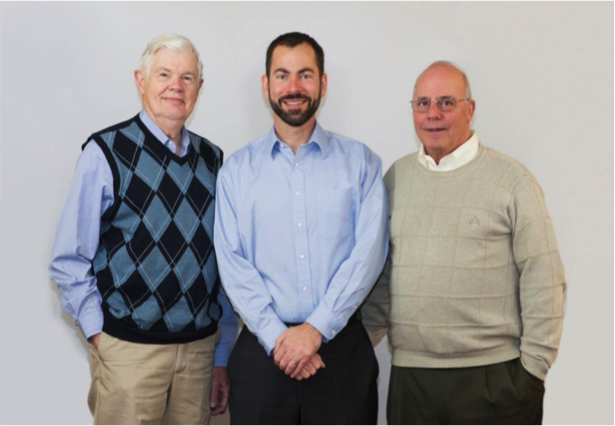 EnviroSure continues to meet monthly with its SCORE Advisory Board: Pete Shaw, Charles Espenlaub, and Bob Levitt. EnviroSure is on track to continue its rapid growth, making it one of the most successful startup companies in Chester County.